Everyone who has had a chance to visit Great Britain must have noticed how popular are the so called ‚conservatories’ or ‚extensions’. They work as porch extensions, all-year-round gardens or extensions of the leisure part of houses. Such Victorian style solutions are gaining popularity in Poland, which is obvious taking into account the number of new companies specialising in winter gardens. Because of the multitude and complexity of available structures, they should be made by experienced producers and with a lot of concern for details. We use Alusystem, Yawal or Reynaers roof profiles which have been specifically designed for this purpose and each structure is checked for its static load. 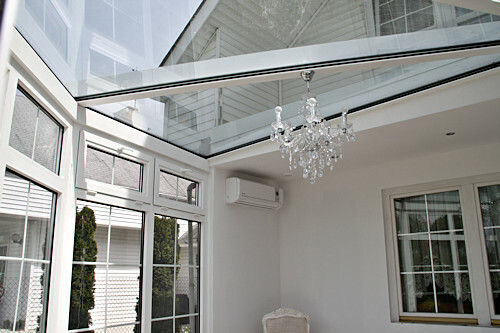 Each type of conservatory must be individually designed for every house and with the consideration of the customer’s needs so that it looks good and remains functional for many years. 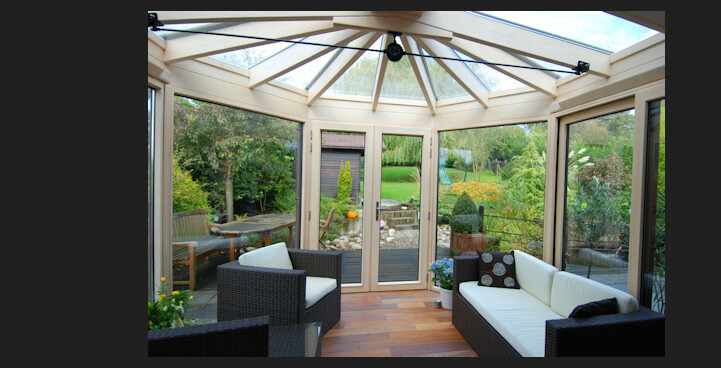 We can advise you on the available materials and possible solutions or even prepare 3D graphics visualising the designed conservatory before the final installation. Winter gardens are very flexible structures allowing an almost unlimited number of arrangements. They can be free-standing, attached to any degree to existing buildings, work as a roof for existing terraces, be used in stairwells or inter-connections between buildings and serve many other functions. 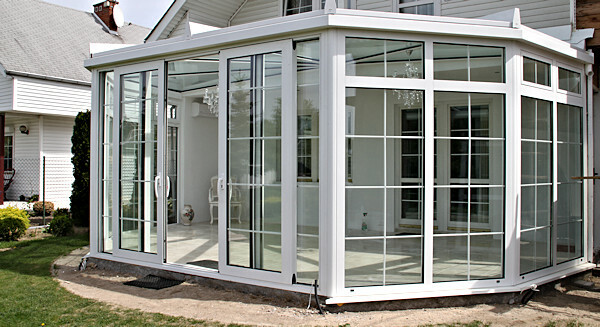 They can be connected with other aluminium systems, which makes it possible to install sliding or slide-and-fold doors within them. 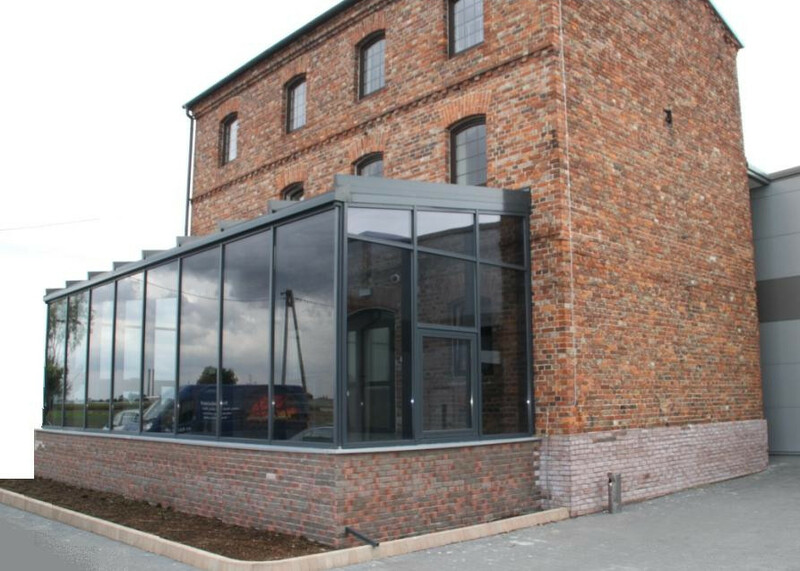 They can be classic – glass and aluminium structures, Victorian style structures or in a modern glass cube style -a full glass structure with the minimum number of profiles and the use of ‚glass ribs’, which are construction elements used instead of traditional roof beams and made completely from toughened and laminated safety glass. To assess the cost of a winter garden, one needs to take into consideration its function: whether it is going to serve as an integral part of a building on an everyday basis or only as a warm porch or sheltered pavilion. Having seen a picture of the construction ground we can create a design and a provisional cost assessment and, if necessary, a professional visualisation which will make it easier to imagine what the construction is going to look like.